It seems like not long ago I was writing my 2012 review in a hotel room in Southern Utah. When I reflect on where I was a year ago, it's like a different world. I was in Portland. I had just packed up my mom's house and condo. We had held her funeral and I gave an Eulogy. I had just got into her car and drove to Montana. I had no idea where my life was going. It seemed like everything had or was breaking down. You only live once, so I surrendered to my unfolding life. 2013 was a year a shifts and changes. The elephant in the room was grieving for my mother, the closure of her estate and the reintegration of myself after her death, which included a priority shift from my career uber alles into healthy consciously created relationships. There was also the case of my broken heart. 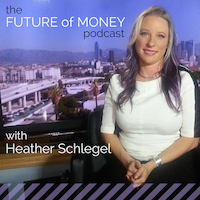 2013 was the birth of my most ambitious project to date: The Future of Money TV Series. On my birthday in January, I bought a Geodesic Dome in the Mojave Desert. It was also the month I voiced my idea to make a future related TV series to the person who would become my distributor partner. In Feb, I finally ended my longest LTR, and began this grieving/healing process. Ugh. I changed my diet and began my love of reformer based pilates. I launched the 3rd year of my Future of Transactions Survey. In March, I spoke at TedxZwolle and visited amazing Amsterdam. Spring was spent working on the dome, rebuilding friendships, reformatting my body/brain and developing the series. Summer was lots of conference travel, great friends, love. I went to Orlando, Chicago, San Francisco, Palm Springs, Portland and Seattle. I organized the Association of Professional Futurist's Professional Development Day, where we looked at Casual Layered Analysis and created a mapping of the history of futurist roles. It was very successful. 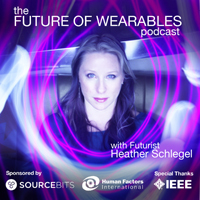 I spoke twice at the World Future Society's conference. A Possibility Tour. The Human Problem. Both well received talks. My paper, The Human Problem, won 1st place. I kicked off a new research project, The Future of Intimacy, with colleagues from OCAD. We'll be presenting this work at SXSW 2014. The Fall was the unveiling of the Future of Money TV Series, successfully raising $37k on Kickstarter and garnering lots of press in the process. And I finally got the dome ready for unforgettable experiences in the Mojave. I launched my 3rd Bitcoin survey. And I'm heads down on production and preparation for Q1 2014. With plans to write a book. Whew! Not too shabby of a year, especially considering the circumstances. I'm leaving 2013 a healthier person, physically and emotionally. I have amazing friends I love, who love me. Great collaborators. And great projects that I believe will culturally change the world and make it a better place. I've successfully recovered/reintegrated the shocks from 2012 and 2013. I'm a different person, but I'm also still the same heathervescent! I'm exiting 2013 in the best shape of my life - personally, professionally, physically.